BAWA Cane is a white cane equipped with Internet connectivity which is designed to help users go about their daily lives. There are people who’ve gone on to create incredibly useful and innovative creations as a result of certain situations in their family. One entrepreneur whom I interviewed recently was moved to create an app to help people prepare for the demise of their loved ones after seeing the difficulties her family faced with the unexpected death of her grandmother. For siblings Daniel and Stella Vong, it was also their grandmother who inspired them to create something to help society. In this case, it’s a white cane (the term used to describe a walking stick for the visually impaired). 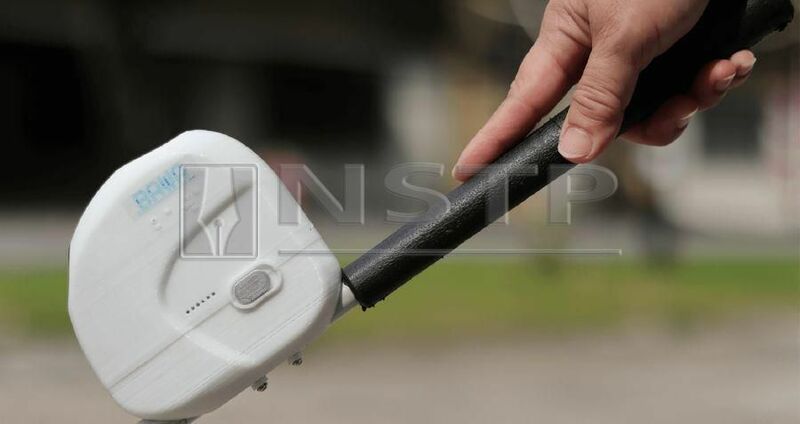 The result is BAWA Cane, a white cane equipped with Internet connectivity and other smart technologies designed to help users go about their daily lives with greater ease. How did your grandmother inspire you to create this product? Growing up in Kuching under the care of our beloved grandmother, it was heart-breaking for use to see her gradually losing her sight. Since her 40s, our grandmother had had high-blood pressure which led to glaucoma. The disease left her with a single field of vision and eventually permanent blindness. Ophthalmologists were unable to operate on her due to the high risk entailed due to age. Even with a white cane, she continually bumped into everyday obstacles like tables and chairs. It got to the point where she became afraid to leave the house. My sister and I asked ourselves how we could leverage on our collective expertise to help people like our grandmother. And that’s how BAWA cane came about. I have a degree in engineering, specifically robotics and mechatronics, as well as a degree in computer science. So, naturally I’m doing the technical bits - the research and development, engineering drawing, production supervision, etc. Stella has a degree in business, specifically accounting and finance, so she handles the business side of things, namely business development, marketing, branding, accounts management, financial planning for production, cost monitoring, etc. Our skillsets complement each other. BAWA Cane creates fewer accidents and gets users to navigate with less time. What makes BAWA Cane special? BAWA Cane is a clip-on, smart device that’s mounted on existing white canes. On the surface, BAWA Cane features dual sensors for better overall obstacle detection. This creates fewer accidents, gets our users to navigate with less time, and empowers our users to get more things done. There’s a lot of algorithms that go under the hood to make BAWA Cane truly intelligent and personalised. This is where the Internet of Things (IoT), Artificial Intelligence and data analytics come into play. The Internet of things (IoT) is the network of devices such as vehicles, and home appliances that contain electronics, software, actuators, and connectivity which allows these things to connect, interact and exchange data. What was the most challenging feature to develop? I’d say it was the user interface which goes beyond just having icons and text. Our interface has to be blind-friendly where everything on screen is conveyed back to our users in audio. A lot of work had to go into making sure BAWA Cane works seamlessly so that the user just has to flick the switch and it works as expected. How does IOT come into play? 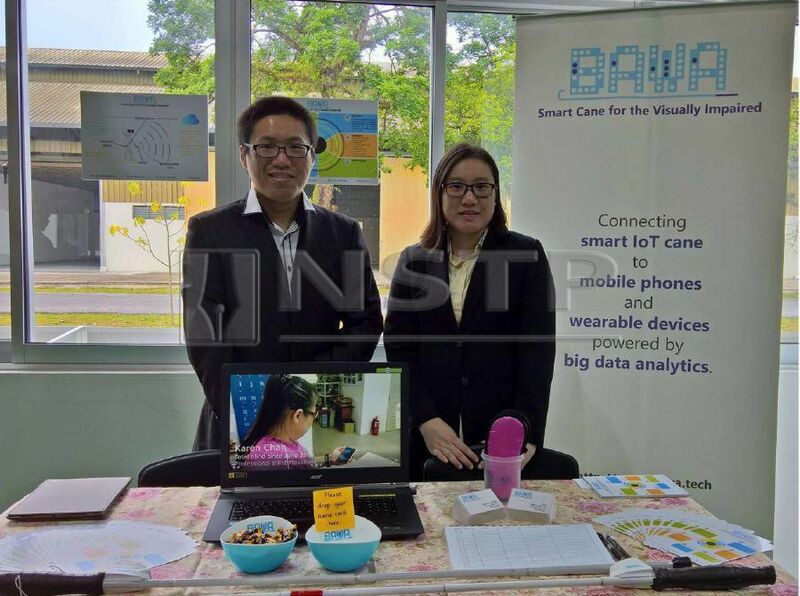 We envision BAWA Cane to be the centre of all things for a blind or visually-impaired person from how they move and how they commute, to how they interact with other people and smart devices. That’s where IoT comes in as devices must talk to one another. BAWA Cane collects data for analytics, personalisation and prediction. It’s much easier to recognise unexpected obstacles on a regular route than analysing everything and trying to understand what’s going on around. Each BAWA Cane is talking to one another, sharing information of obstacles along a route. 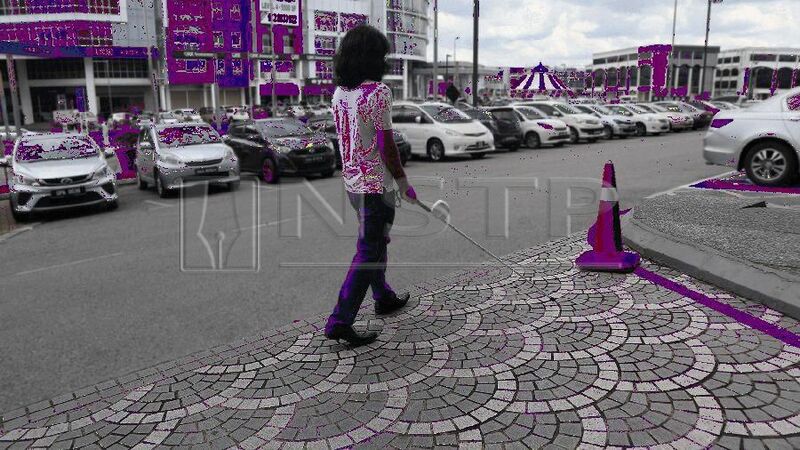 This is to say that every blind or visually-impaired who’s using a BAWA Cane will know of an obstacle even it’s his first time in an unknown region. It could become a kind of Waze for the blind. To be honest, we’re underutilising our AI capabilities. We don’t have enough data to work with even after we tested BAWA Cane with over 100+ blind and visually-impaired people across five countries. For now, in terms of AI, our team is only focusing on natural language processing. English is currently the only language supported. Is it available for order now and how much does it cost? Our prototypes are in limited distribution at the moment. Market-ready products will soon be available to order at US$399 (RM1,600) each. It will be produced locally. Will there be one version only or several versions? There will be several versions catering to different target audiences and markets. There will eventually be different tiers – basic, mid-level, advanced – but for now we’re positioning BAWA Cane as a premium product. Is there anything like it in the West? We do have competitors like Handisco from France and WeWalk from Turkey which emerged with their products in 2017 and 2018, respectively. However, we don’t think being the first is the most important thing. It’s being the best. Our team constantly innovates based on the feedback that our users provide. Do you aim to go global? Our prototypes are already being tested in multiple countries. We recently got invited to speak and exhibit at 45th Naidex, Europe’s largest and most established event for the disability sector. We’re grateful to MATRADE for seeing our export potential and handholding us towards exporting and impacting more people.